We’d love your help. Let us know what’s wrong with this preview of Steal by Jeff Elkins. Stolen art. An orphaned girl. A dangerous and elusive conspiracy of thieves. Moneta Watkins and Stacie Howe are on the case. Private Detective Moneta Watkins has a special gift - she can relive people's memories. With her partner, Stacie Howe, she tackles the cases no one else can solve. The second installment in the Adventures of Watkins and Howe, Grab is a fast-paced, ac Stolen art. An orphaned girl. A dangerous and elusive conspiracy of thieves. 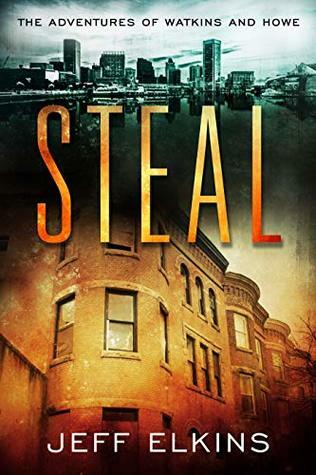 To ask other readers questions about Steal, please sign up. I am an author living north of Baltimore, Maryland with my amazing wife and five incredible children. I write fictional urban fantasy and nonfiction essays about religion in America. I am the founder and a contributor to the online literary journal Short Fiction Break. If you are interested in following my writing, click here to subscribe to my monthly newsletter.